In excess of two hundred of our junior sailors and parents packed the clubhouse Saturday last to celebrate another wonderful season of activity right across our entire junior section. 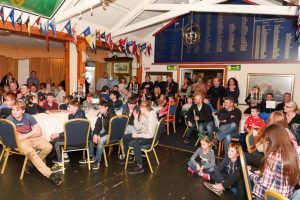 It was fantastic to see such an attendance and clearly highlights that the future of the club is in very safe hands indeed. 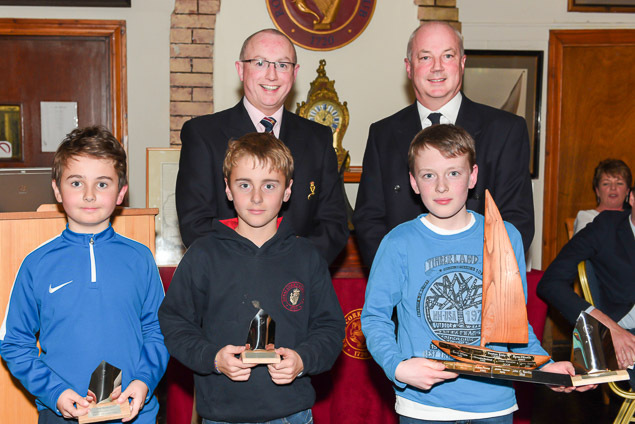 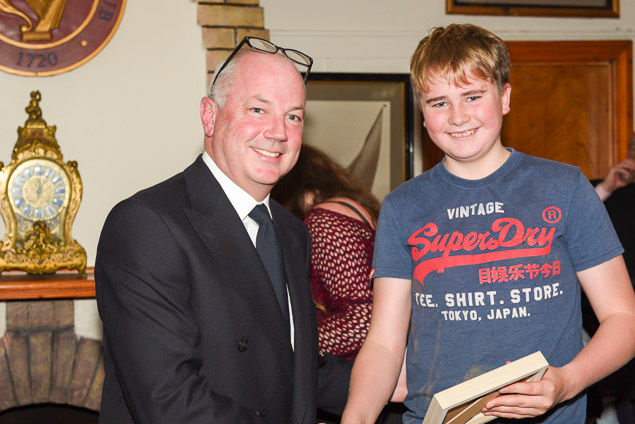 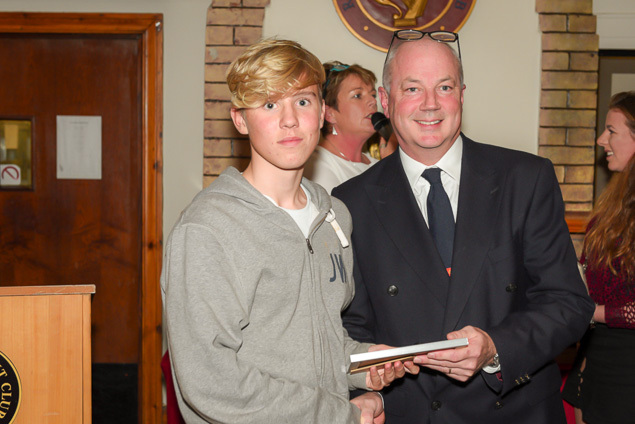 A series of short presentations by club junior organiser and dinghy class captains acknowledged the many sailors in each class who were so active throughout the season. 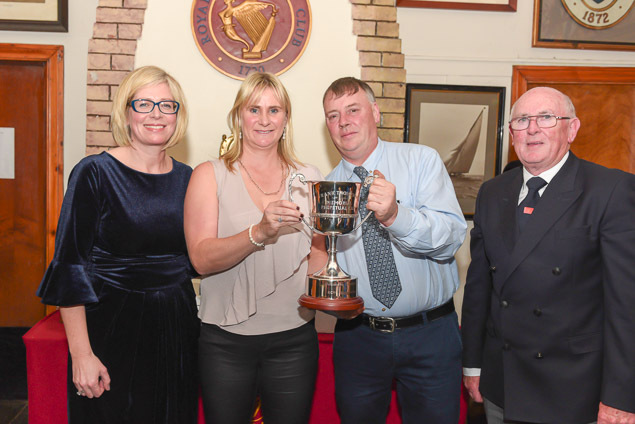 Some Highlights of the evening included the presentation of the ‘Frank Thompson’ Memorial Trophy to club members Mick & Gemma Spillane by Ailish Thompson. 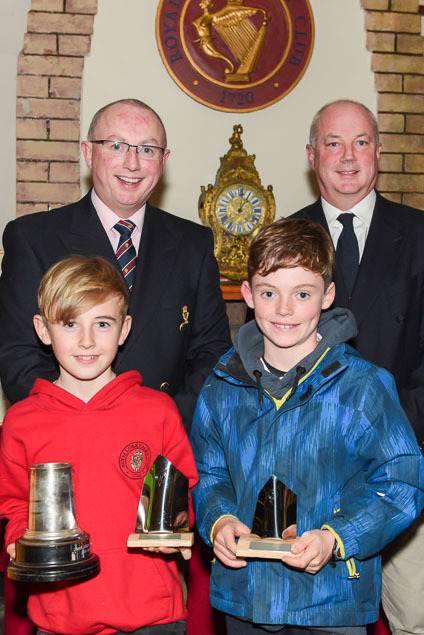 In addition the ‘Pywacket’ trophy was presented for 2017, a trophy that is traditionally presented to junior member(s) who have performed above and beyond the norm. 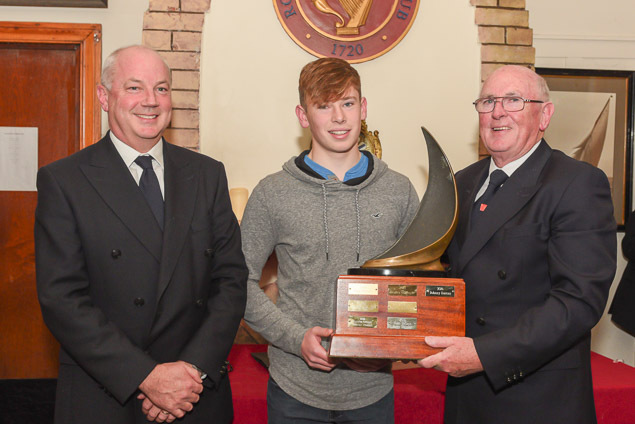 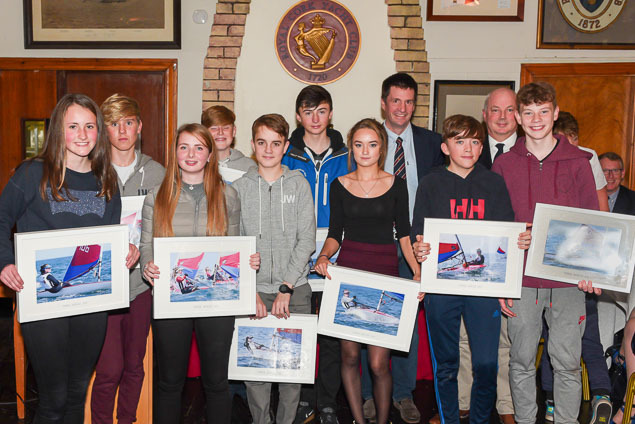 A significant number of nominations were received this year which arguers favourably for how well Royal Cork dinghy sailors are performing collectively at the highest level. 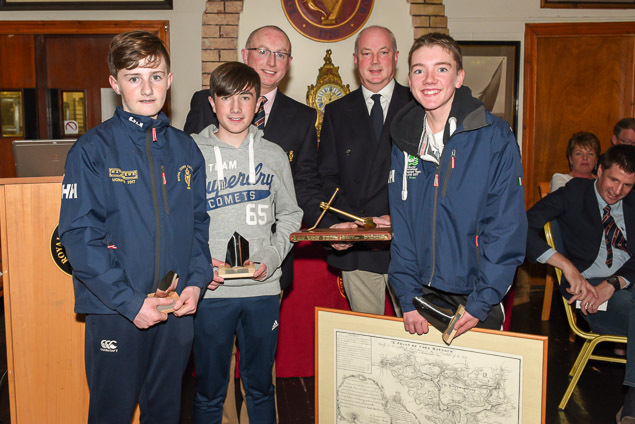 The trophy was awarded to club members Geoff Power and James McCann (420 dinghy) for their success in qualifying themselves and the Country to compete in the World Sailing youth world championships taking next month in China and we wish them luck. 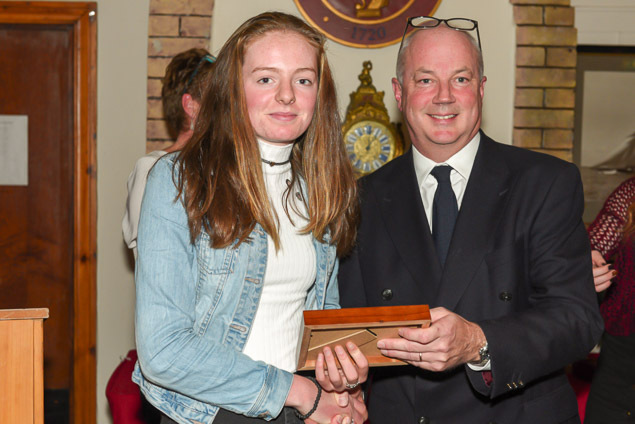 Special thanks must go to Bob Bateman for taking all official photos on the night, many of which have been reproduced for this article. 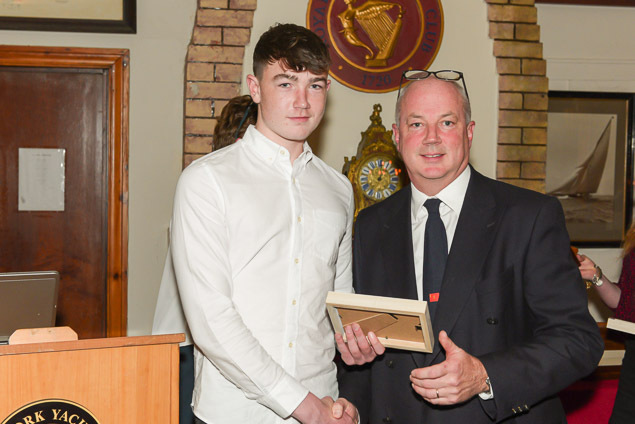 Also to Deirdre Horgan who supplied some fantastic photo memories of the season which were used to compile a slide show of the years activity on the night. 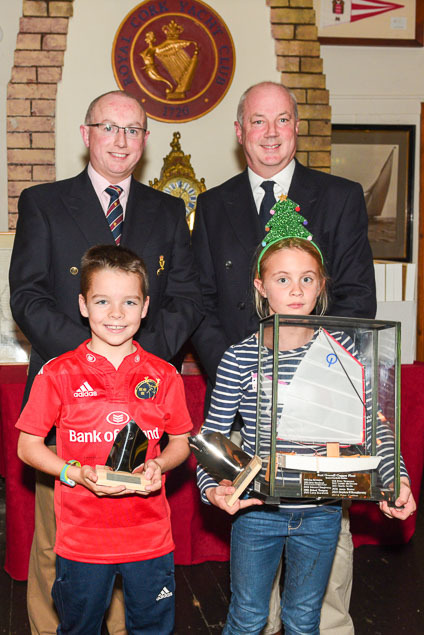 Am sure we can look forward to another buoyant year of Royal Cork junior sailing during 2018.